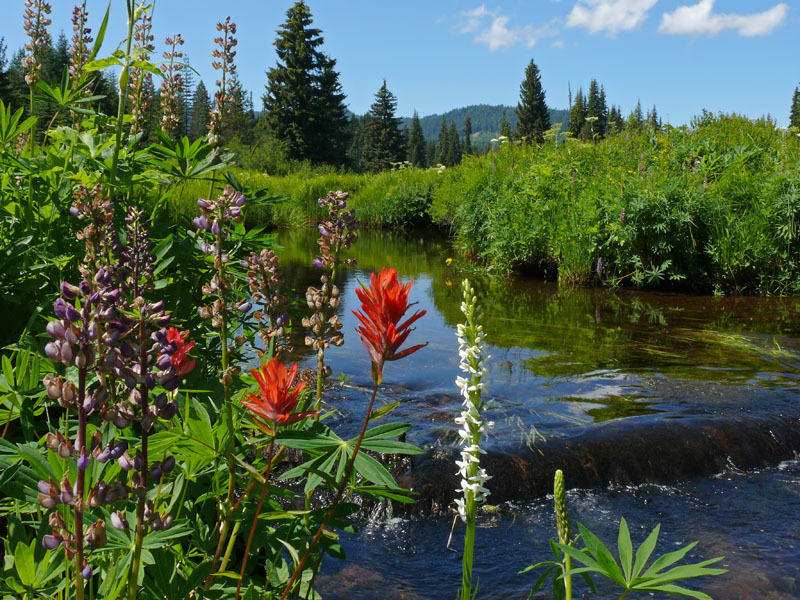 Lots of wildflowers bloom along beautiful Park Creek, including Castilleja miniata, Lupinus polyphyllus, and Platanthera dilatata. Many of you have Wildflowers of the Pacific Northwest by Mark Turner and Phyllis Gustafson. Mark is currently working on a follow-up book on shrubs. He contacted me earlier in the year to find some locations in Oregon for Lonicera caerulea and some uncommon willows. 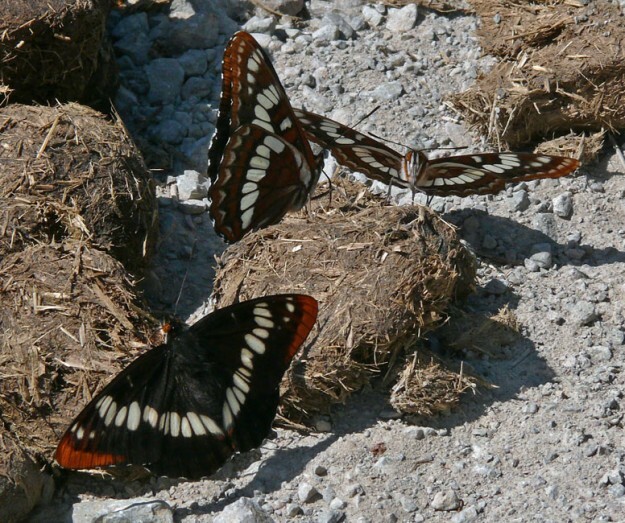 I suggested Park Creek as a place to find some of these. Not only is it a lovely area with lots of interesting plants, but the many great spots are easily and quickly accessible from the road. This is a big plus if you are a photographer, especially one with a long list of plants to photograph in a limited amount of time. I was glad to hear he found his target species in bloom there on his visit. But even more exciting for me, he discovered and photographed a rare currant, Ribes triste, known as swamp red currant (click here for Mark’s Park Creek photos including some of the pretty flowers). I found this last year at Warfield Bog (see Unexpected Find at Warfield Creek Bog), otherwise, I probably would never have even heard of it. There are very few recorded locations on the OFP Atlas (click here for map). I just couldn’t make it up to Park Creek earlier in the season, but I still wanted to see where it was, and Mark sent me a GPS location. While sometimes it seems like we are overwhelmed by technology, there are many times I am so thankful for it. On my trip up to Park Creek last Tuesday (August 2), I was able to find the location, south of the second bridge, with no trouble whatsoever. I knew it would be well past bloom and maybe even fruiting, but I was still excited to see it. Thank you Mark! 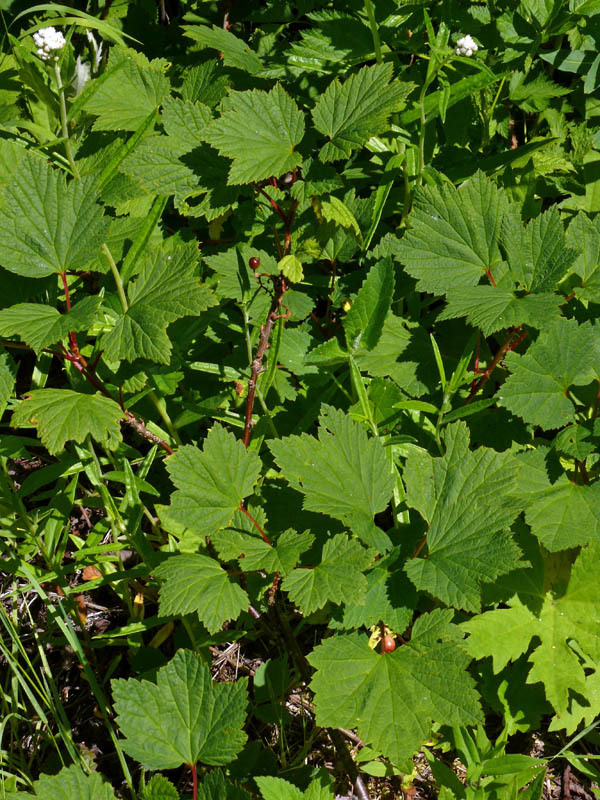 It grows somewhat close to the ground though not really creeping on the ground like trailing gooseberry (Ribes binominatum). I continued farther south along the creek and found at least three more areas of it. 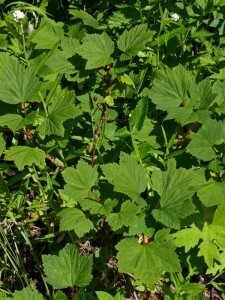 The difficulty in spotting its maple-like leaves was partly due to its seeming preference for hiding among look-alike species highbush cranberry (Viburnum edule), vine maple (Acer circinatum), and thimbleberry (Rubus parviflorus). Alternate leaves with red stems and a few lingering berries helped assure me I was looking at the right plant. 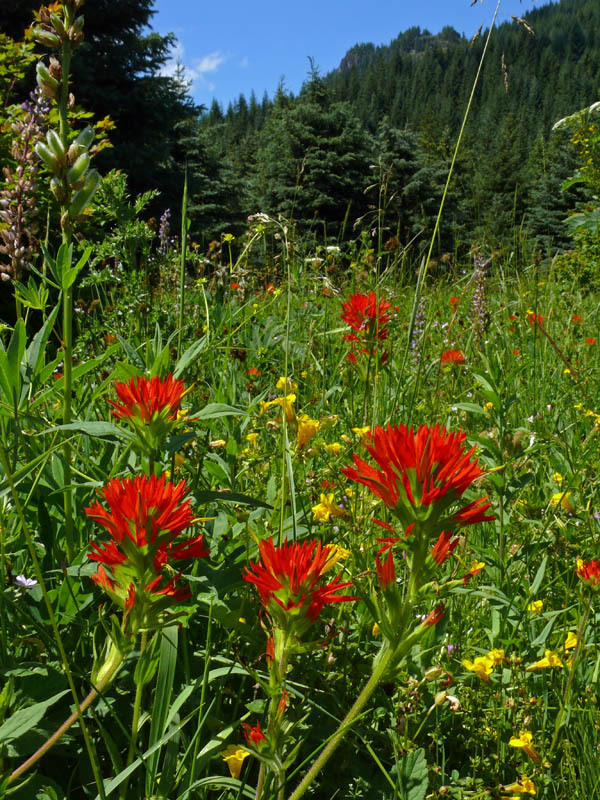 There were many other plants in bloom along this section, most notably the bright scarlet red Castilleja suksdorfii. It might be confused with the far more common Castilleja miniata, but it has lobes on its leaves and much more green on the flower bracts. Both paintbrushes like this damp habitat. I also found a patch of Horkelia fusca, which also grows along the road closer to the Three Pyramids trailhead. Lots of frothy Galium trifidum was blooming with the equally delicate Stellaria borealis. There were many shiny black berries held by bright red bracts on the attractive twinberry (Lonicera involucrata). I pulled over at one point along the road where there was an unusual spot of very low growth, mostly moss. It must have been wet earlier in the season because it was filled with the prostrate mats of tinker’s penny (Hypericum anagalloides). What really interested me were clumps of very short willows with leaves that were shiny on top, glaucous underneath. They had prominent stipules. My guess is that these are Salix planifolia, but there were no flowers or fruits to help with the ID. On the way back, I stopped at my favorite spot, less than a quarter mile west of the first bridge. The show of Castilleja miniata was outstanding. Many streambank butterweed (now Packera pseudaurea) were also in bloom. Right by the water, the white bog orchids (Platanthera dilatata) were in perfect bloom. In the creek, I could see the white flowers of water buttercup (Ranunculus aquatilis) floating on the surface. The gorgeous Lupinus polyphyllus, one of the stars of this area, was fading, but there was plenty enough color to keep me happy.